Companies in the Healthcare sector have received a lot of coverage today as analysts weigh in on Miragen Therapeutics Inc (NASDAQ:MGEN) and Momenta Pharma (NASDAQ:MNTA). Oppenheimer analyst Leah R. Cann maintained a Buy rating on Miragen Therapeutics Inc today and set a price target of $19. The company’s shares closed on Friday at $5.58, close to its 52-week low of $5.01. 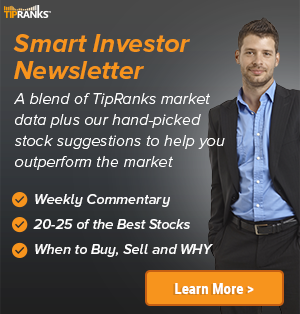 According to TipRanks.com, Cann is a 5-star analyst with an average return of 18.1% and a 54.1% success rate. Cann covers the Healthcare sector, focusing on stocks such as Constellation Pharmaceuticals Inc, CytomX Therapeutics Inc, and Crispr Therapeutics AG. Currently, the analyst consensus on Miragen Therapeutics Inc is a Strong Buy with an average price target of $18.83. Cantor Fitzgerald analyst Brandon Folkes maintained a Hold rating on Momenta Pharma today and set a price target of $24. The company’s shares closed on Friday at $26.30. 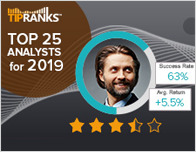 According to TipRanks.com, Folkes is a 1-star analyst with an average return of -0.2% and a 53.7% success rate. 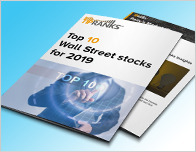 Folkes covers the Healthcare sector, focusing on stocks such as Biohaven Pharmaceutical Holding Co Ltd, Opiant Pharmaceuticals Inc, and Eagle Pharmaceuticals Inc. 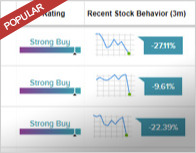 Currently, the analyst consensus on Momenta Pharma is a Moderate Buy with an average price target of $32.